When The Hackers Paradise announced Putter Week, most of our readers did not know a whole lot about Sizemore Golf. Back in 1996, the founders had a vision. To design the finest putters in the world and then manufacture them so golfers of all skill levels and economic means can enjoy them and benefit from their quality. Each putter model from the Sizemore Collection is created using Sizemore Golfâ€™s Total Club Approach (TCA). Therefore, every player can be confident in the performance and consistency. 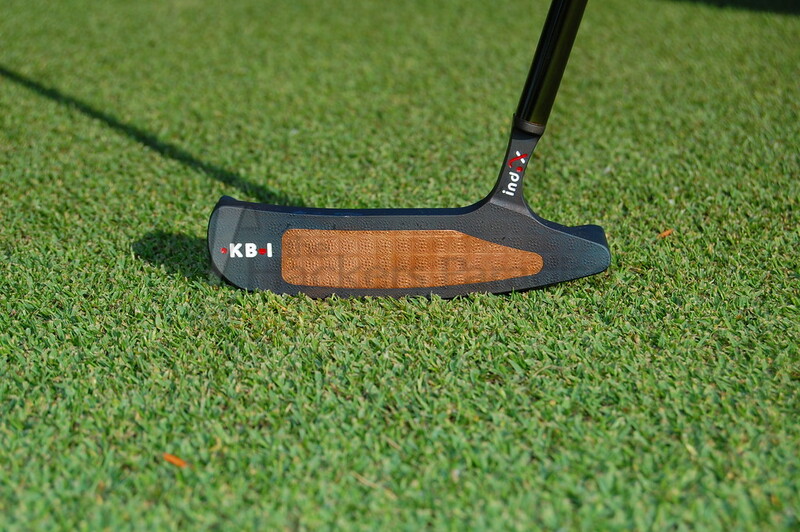 Each putter model from the Sizemore Collection of putters sports the patented IND-X face finish. Therefore, every player using one can be confident that they have the flattest putter face in the world (virtually eliminating off-line deflection). The company has two lines. Sizemore Golfâ€™s hand-crafted Signature Series combines 12L14 Carbon Steel and 110 Annealed (99.9% Pure) Copper for the blades and 6061 Aerospace Aluminum and 110 Annealed (99.9% Pure) Copper for the mallets. Whereas Sizemore Golfâ€™s Player Series combines 6061 Aerospace Aluminum with 303 Stainless Steel for the mallets and consists of blades milled from 303 Stainless Steel. 1996 – Sizemore develops specialized computer-driven milling process. 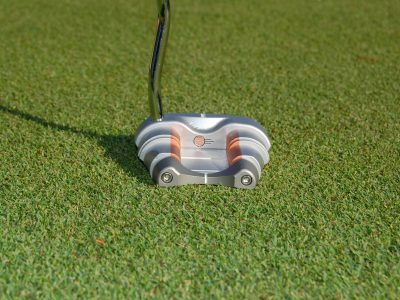 This technology is first introduced in the Copper Stix line of putters. 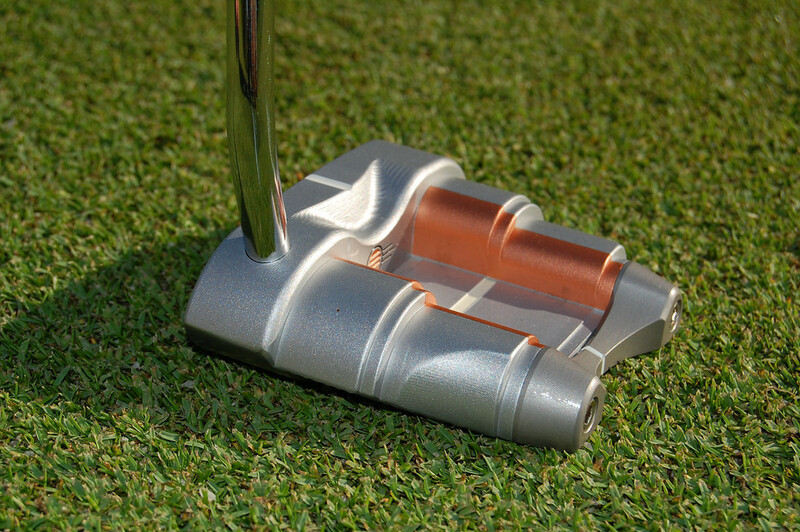 2000 – First PGA Tour Victory by a player using a Sizemore designed putter. WGC / American Express Championship. 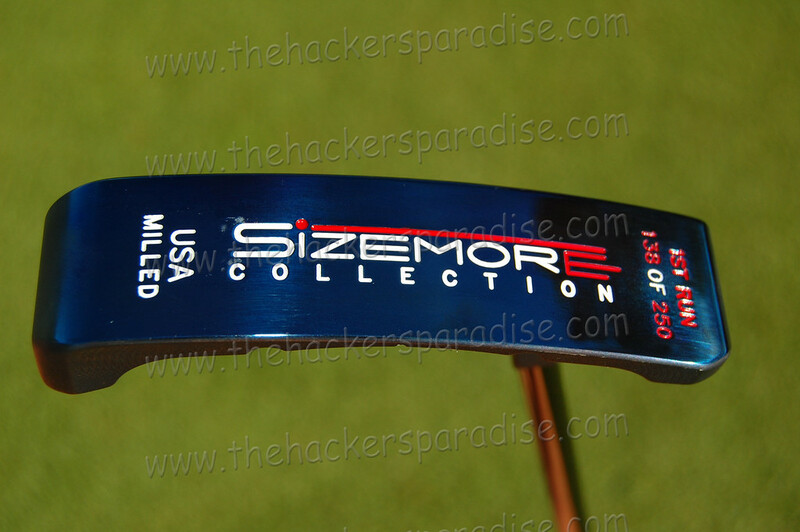 2007 – Sizemore Golf launches the Player Series â€“ Six milled putter models for under $200. First Legends Tour (Senior LPGA) Victory by a player using a Sizemore designed putter. BJâ€™s Charity Championship. 2008 – Sizemore Golf enters the Custom Putter market with Hand-Grinds, Unique Finishes, Hand-Stamping, Paint-Fill Options, Leather Grips and Accessories. 2009 – Sizemore Golf retools in an effort to create new models for the Signature Series and Player Series lines as well as a create an all new Club Series line of putters. — 30 +	PGA, LPGA, Nationwide, Champions, Legends and Gateway Tour Professionals have used a Sizemore designed putter. 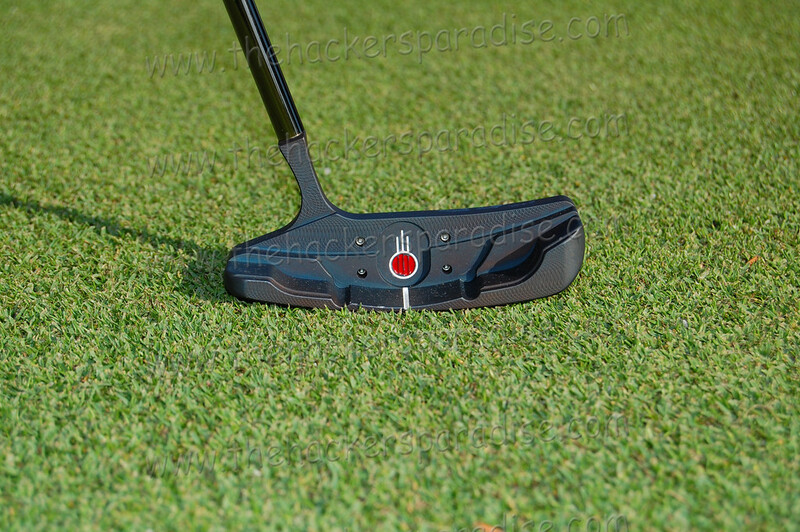 $7 Million earned on the Professional Golf Tours by players using a Sizemore designed putter. The Hackers Paradise had a chance to sit down and speak with the head of Sizemore Golf and find out a little bit more about this great company. THP – Where did Sizemore Golf begin and why did it start? Sizemore – Sizemore Golf started in Pittsburgh, PA to produce the best new putter designs from our Chief Designer, Bruce Sizemore. Years of teaching and playing exposed Bruce to the particular obstacles that golfers meet in their sport, many of which could be minimized by fine-tuning their equipment. 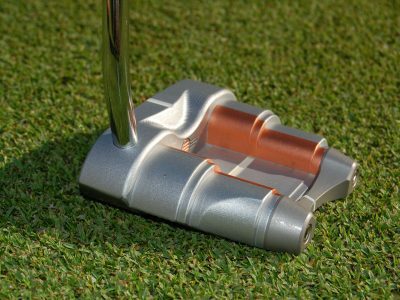 This analysis led to a two-year project, involving research on putter head materials and the development of a specialized computer-driven milling process. THP – How did the designs come into place in the beginning? Sizemore – Bruce had already created the XB-1 and XM-1. Sizemore Golf led by our Chief Designer recreated the XB-2 and XM-2 as extensions from a previous line of putters. They were natural extensions to expand the line. THP – How did you gain presence on the tours in the beginning? 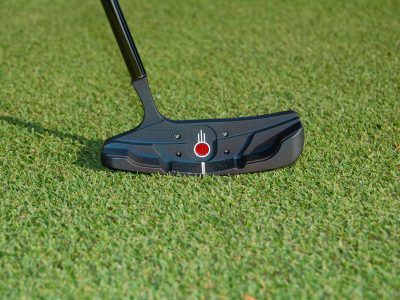 Sizemore – We have had both a PGA Tour Program and an LPGA Tour Program with a Director of Tour Operations showcasing Tour Protype putters as well as Production putters. Our designs have had considerable success on the professional tours for a small boutique putter company including a PGA Tour Victory and a Legends (LPGA Champions) Tour Victory. THP – This year Bruce Sizemore and Sizemore Golf have parted ways. Why? Sizemore – Sizemore Golf’s vision for the future was to expose more golfers to our putters by introducing different manufacturing techniques and different price points. There was simply a differing of opinions on how to go about doing this. THP – What is on the horizon for Sizemore Golf in 2010? Sizemore – We have several new and exciting designs for 2010 and a new more affordable line of putters as well as numerous custom options (finishes, hand-stamping, grips, head covers, etc.). We will continue to be trendsetters in the putter arena and are excited about what is coming up. 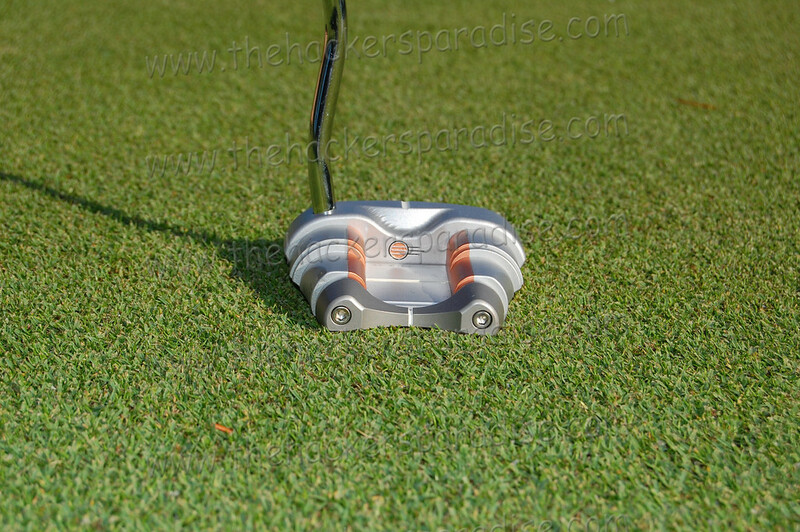 THP – Where can our readers find your putters? 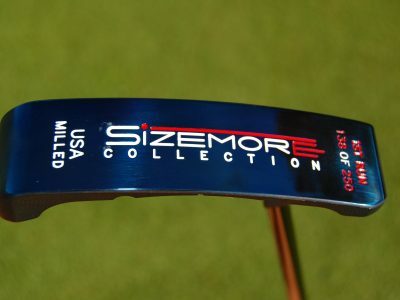 Sizemore – Our putters can be purchased directly from Sizemore Golf on www.sizemoregolf.com and by calling toll free: 877-589-7888.
and, any other customization that can be thought of. During THP’s Putter Week we asked companies to send over something unique for photography reasons and as you can see by the pictures, Sizemore Golf delivered just that. Both styles of putters truly differentiate themselves from everything else out there. The XM-1 is revolutionary by design, offering maximum speed and target control. 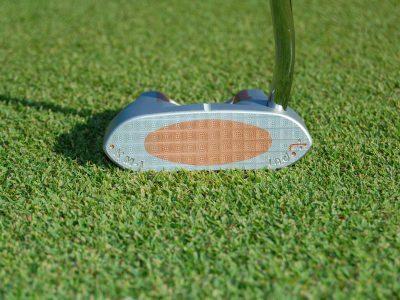 This design features perfectly placed, built-in copper sidelines that accentuate the center alignment channel along with a choice of fully interchangeable alignment inserts. These inserts can accommodate both parallel and perpendicular optical alignment, depending on the player’s unique style and preference. Interchangeable end caps are available in different shapes, materials, and weights, offering further options to vary the putter’s optimal response; ultimately helping them to AIM with confidence. 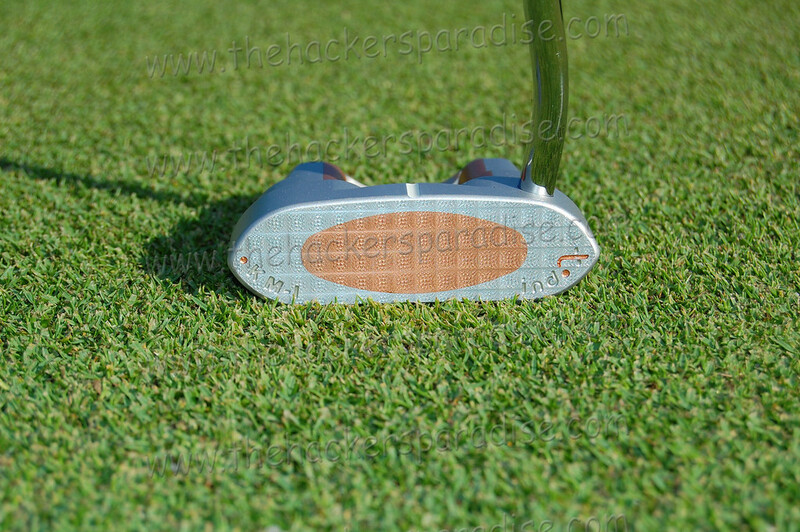 Once you get past the spaceship style looks of this mallet, the putter itself is just fabulous. Having this much customization at my finger tips was both fun and challenging. Once dialed in, this putter works about as good as anything I have tried. The face is extremely soft and the alignment works perfectly. The putter came with a small case that had everything you need to fully customize this for your own game. 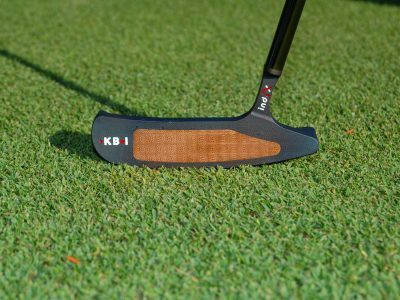 The blade has all the design elements come together to create a putter that performs as good as it looks. The XB-1 features a framed-in alignment pocket and gracefully sloping flanges and profiles, creating a superior optical focus. The combination of the carbon steel putter head and the 110 annealed (99.9% pure) copper insert, guarantees a distinctly accurate feel, with an outstanding low resonance sound; the true sign of Pure Blade Perfection. The blue finish that you see in the photographs is not from the camera. That is the actual finish and in person it looks even better. Make sure that you click on each picture so that you can see the blown up versions of these “golf equipment works of art”. The roll that this putter gives off is about as pure as anything you will try. The face is as soft as butter and being that this particular look is one of my favorite styles, it made it very easy to stroke the ball with. For those looking for that classic blade with amazingly soft feel off the putter face, this could very well be the one. The readers of THP will be delighted in knowing that you will be hearing a lot more from the Sizemore Golf company very soon. We hope you enjoyed reading day 2 of THP’s putter week, as we continue in helping to educate the golfing world on five Putter Companies that our readers should know more about. For more information on the products you have seen in this article, check out the Sizemore Golf website at www.sizemoregolf.com. Solid stuff. Glad to see the company is moving forward. Those pictures are so cool. I have used a sizemore for over 3 years and would not switch to anything else. forget about the look, the roll it provides is better than anything on the market. Sizemore definitely has a unique look to their putters. Some are really out there and some are pleasing to my eye. They don’t look like anything I’m used to, in any case! I’ll pick one of these up next time I am in a golf shop and go by the putters. I’d like to see these close up and try them out. Love the look of that blade, not really into the mallet too much though. Had not heard of this one before this article but that blade putter with the blue hue to it sure is snazzy looking. Curious about the customization of the mallet. It looks very intriguing. I wasn’t totally sold on the mallet either but if you take looks out of the equation that flat stick really performs. Another great write-up I love hearing about companies I never knew before. if smallville or anyone else on THP wants to demo one of our 12 models, please call us toll free at 877-589-7888. if you will pay shipping and return the putter if you don’t wish to purchase it after you have tried it, then you can demo any putter we make. I might be the only one that really likes the look of that mallet. Nice article of Sizemore’s history and where they’re going next. That blue XB-1 blade is indeed a beauty. Thanks.